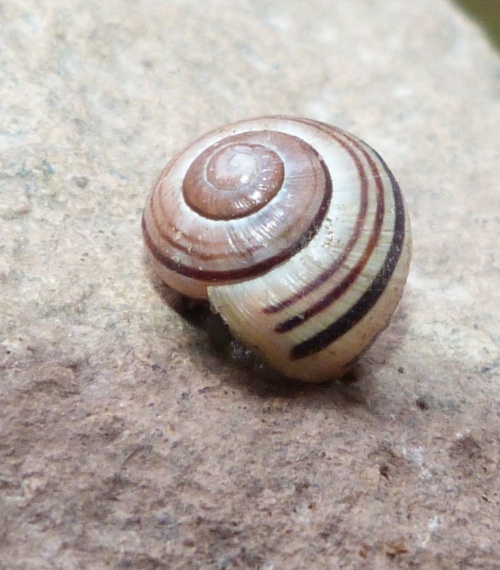 Shell height: 15 to 16 mm, width 16 to 22 mm. 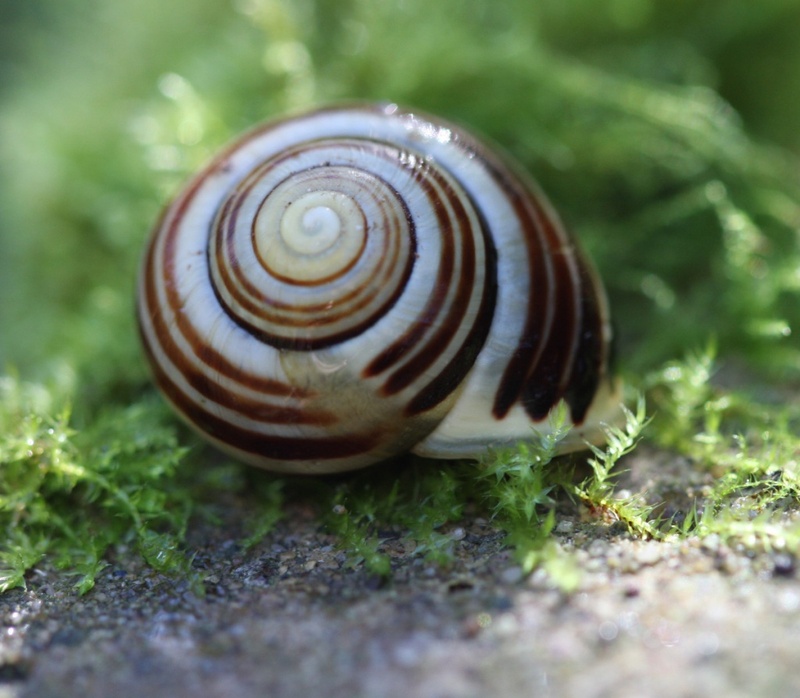 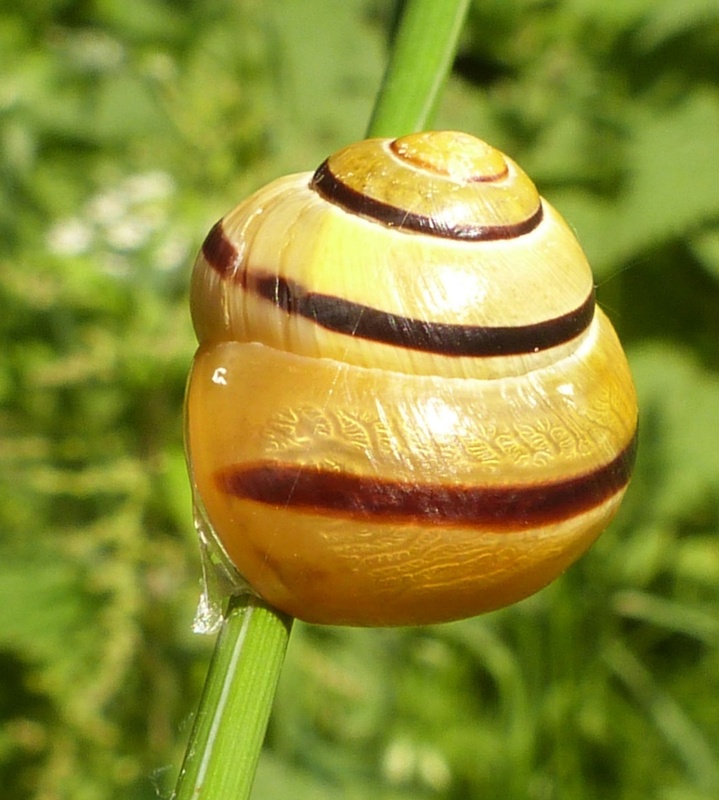 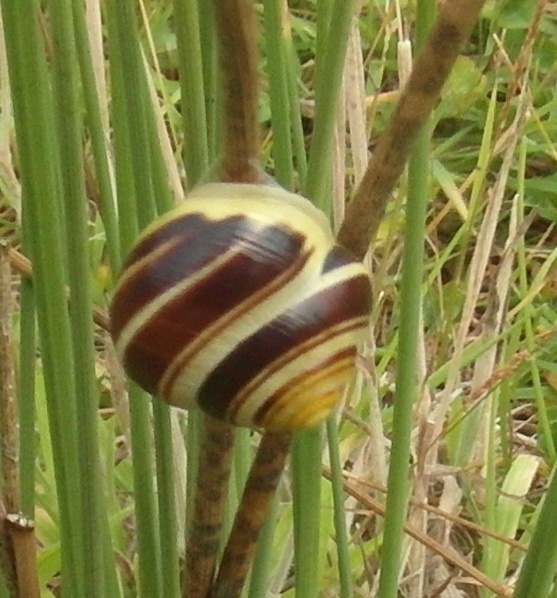 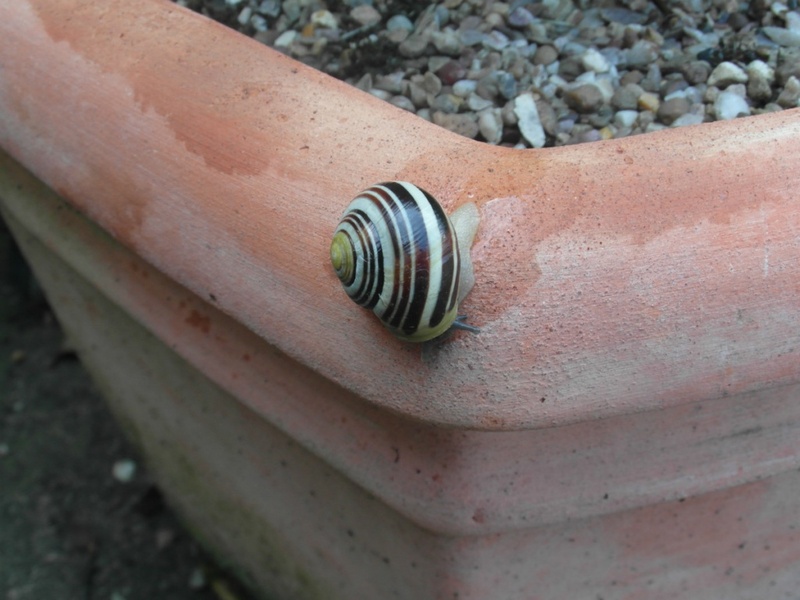 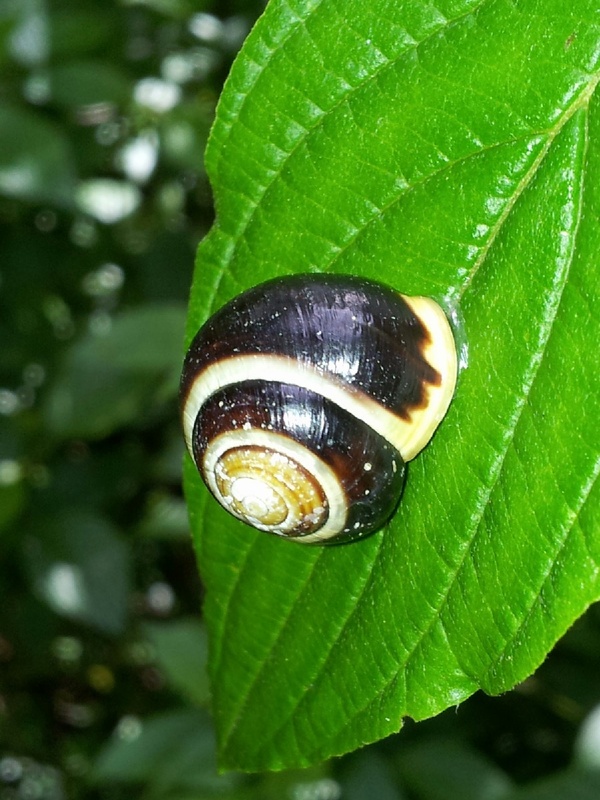 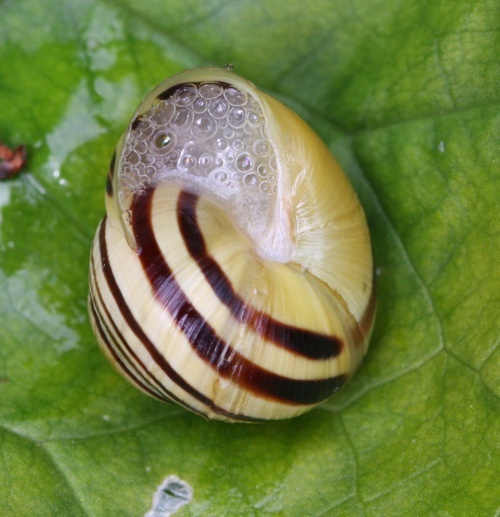 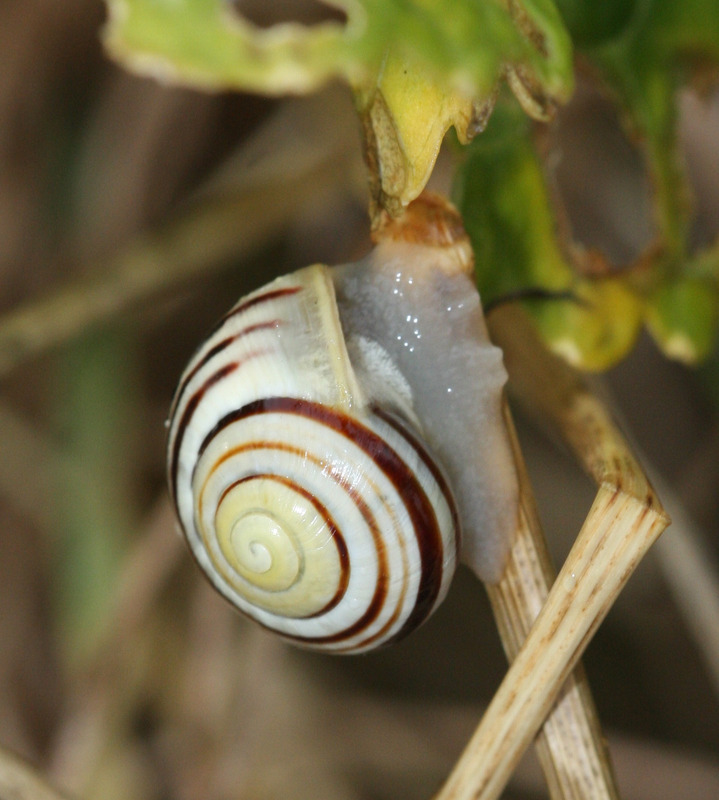 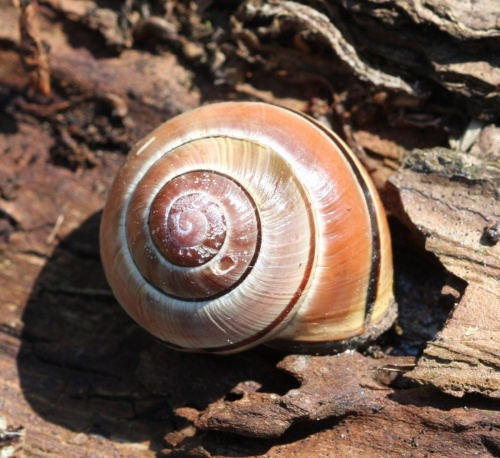 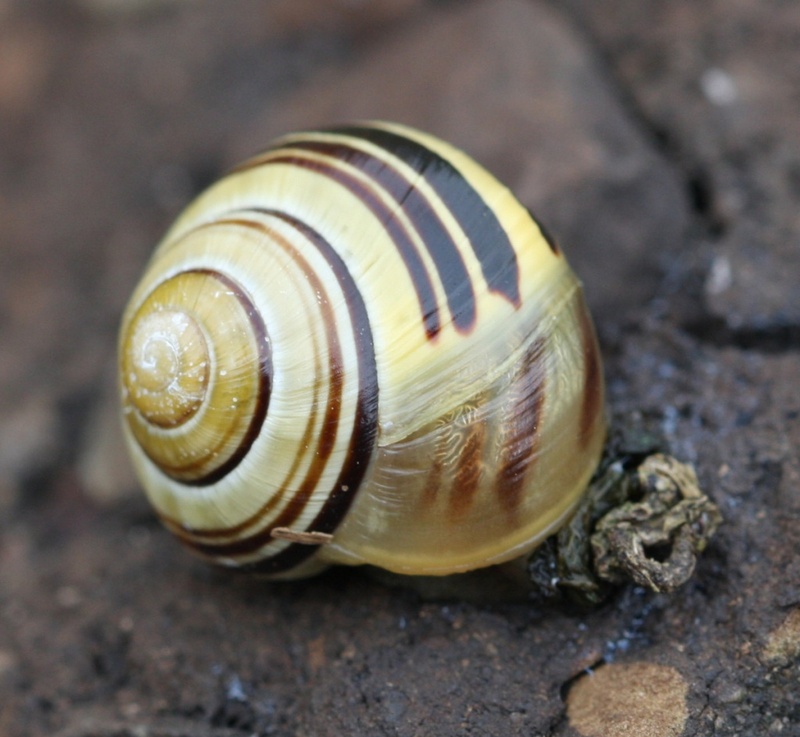 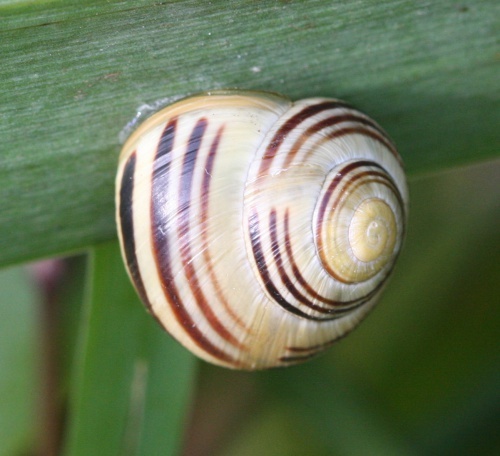 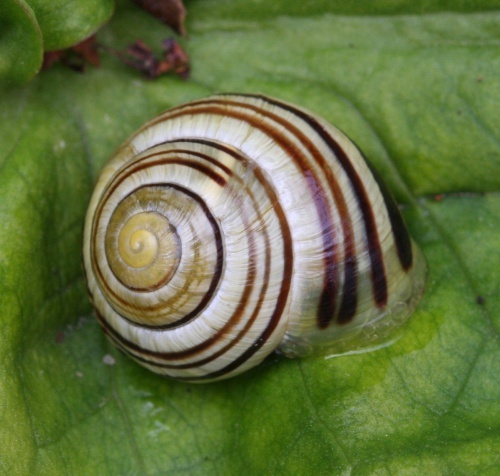 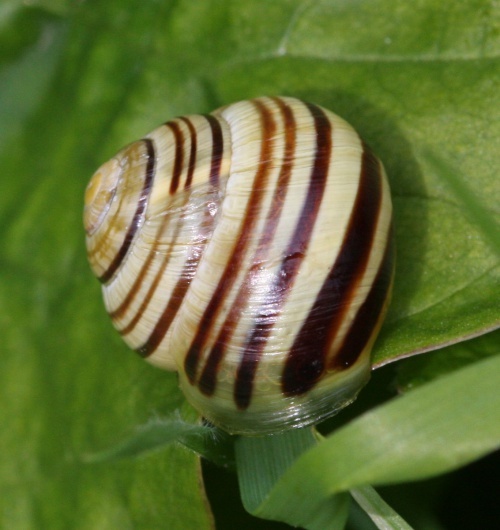 The white-lipped banded snail has a glossy, smooth shell, which is typically yellow in colour but may be pink, brown or red, with up to 5 variable spiral dark bands and nearly always has an obvious white lip around the shell opening. 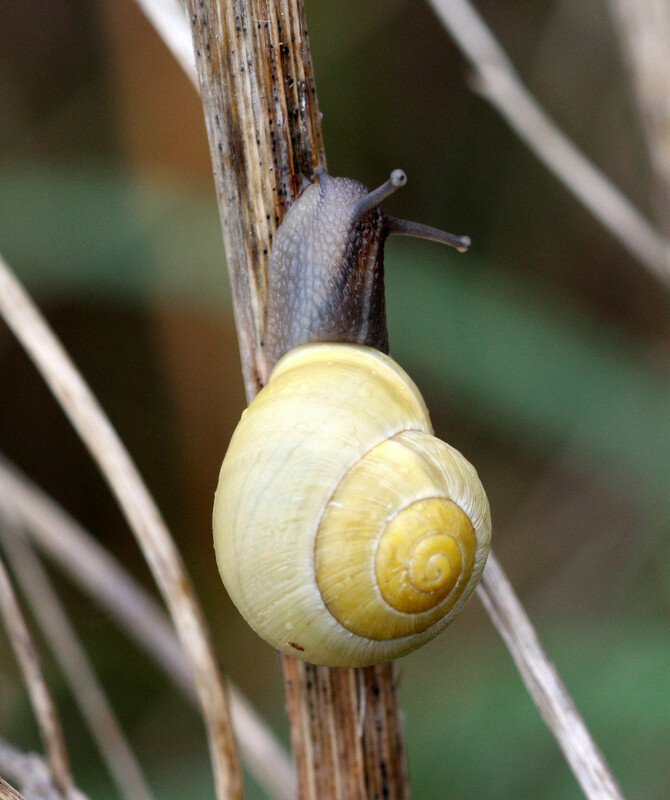 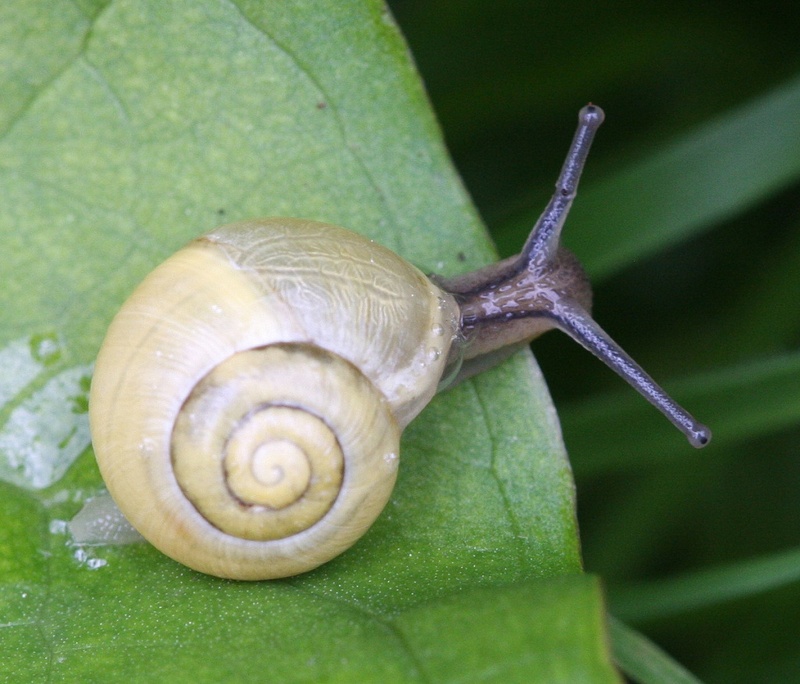 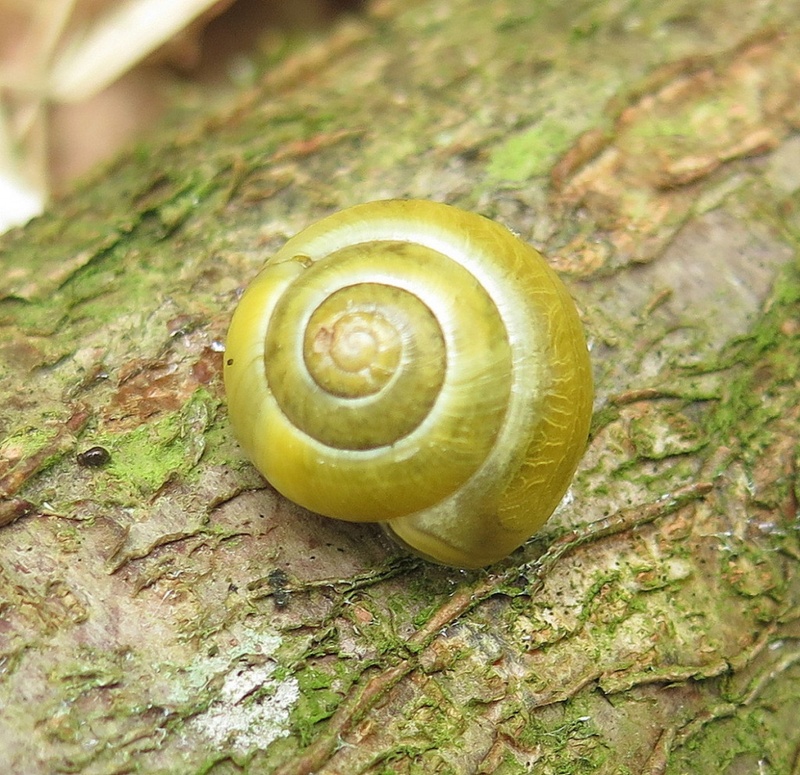 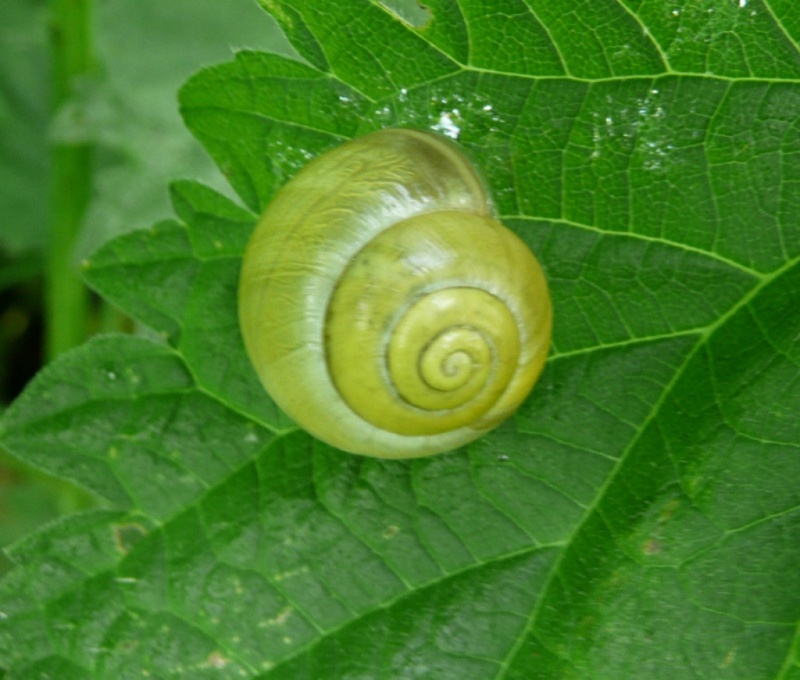 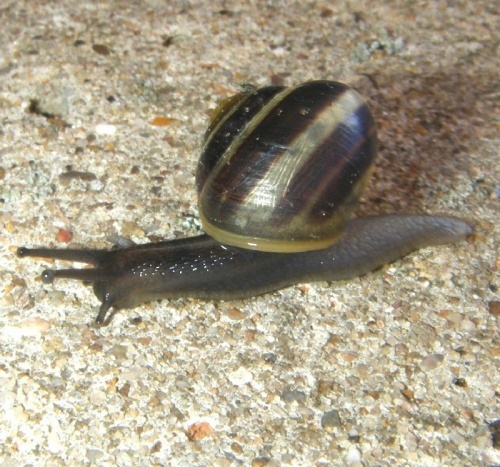 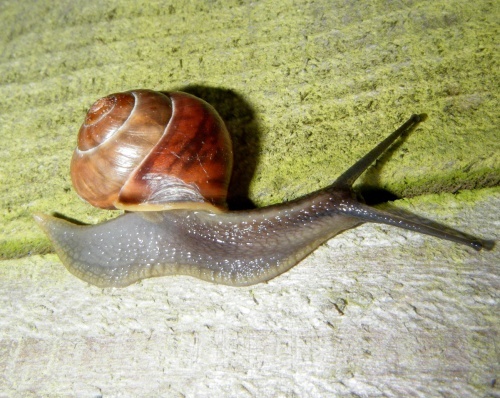 The body of the snail is usually greenish-grey becoming yellow towards the rear. 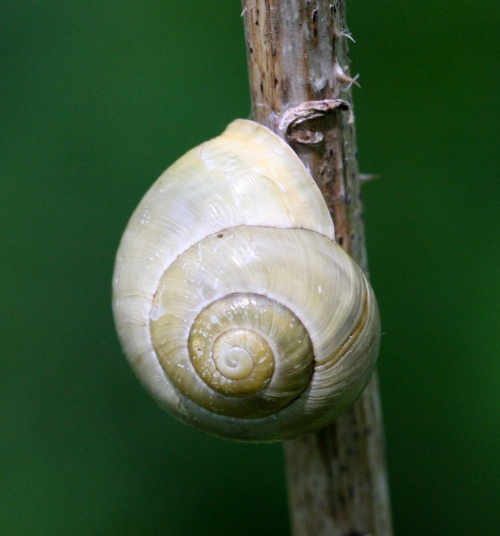 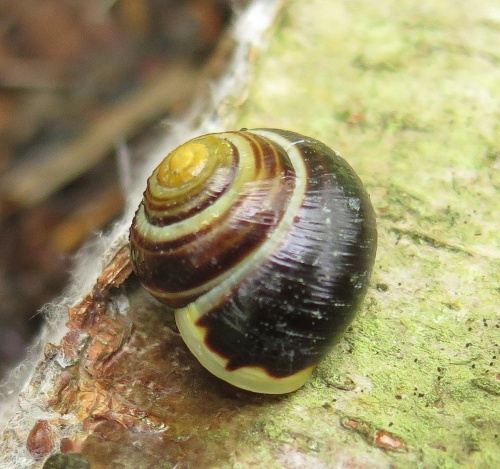 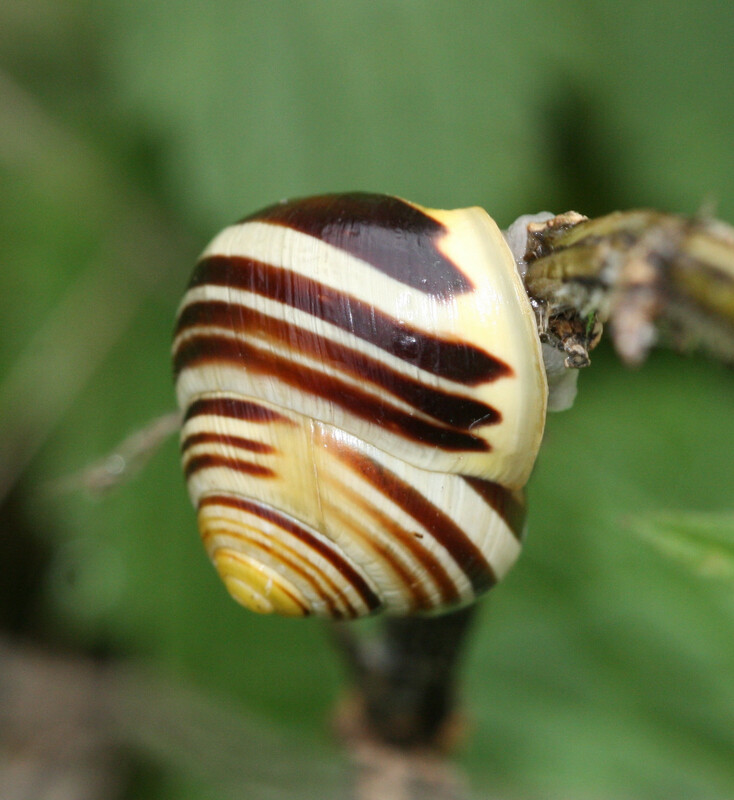 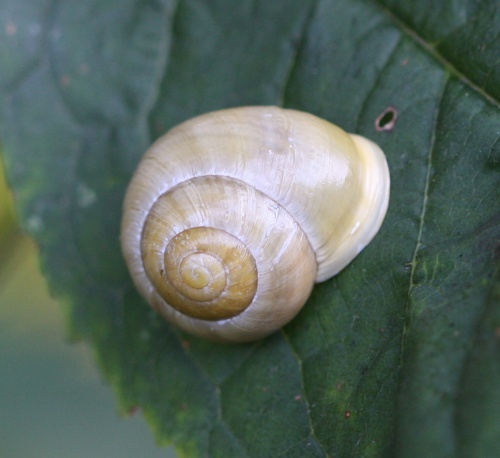 Very similar to Cepaea nemoralis, the Brown-lipped Snail, but generally smaller and of course having a pale band around the lip of the shell, not dark. 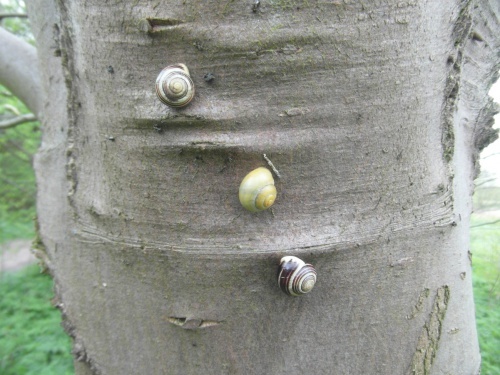 However this lip can break off so it is not always clear cut. Arianta arbustorum can also be broadly similar but this species usually has blotches as well as the stripes. 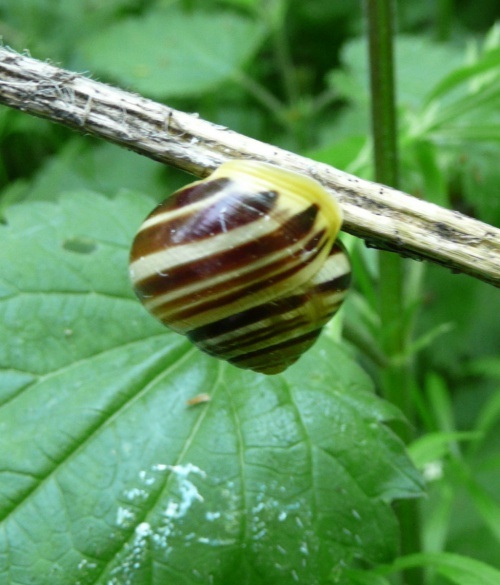 This species occurs in a range of habitats, including waste ground, woodland, hedgerows and grassland and is often found in dense vegetation. 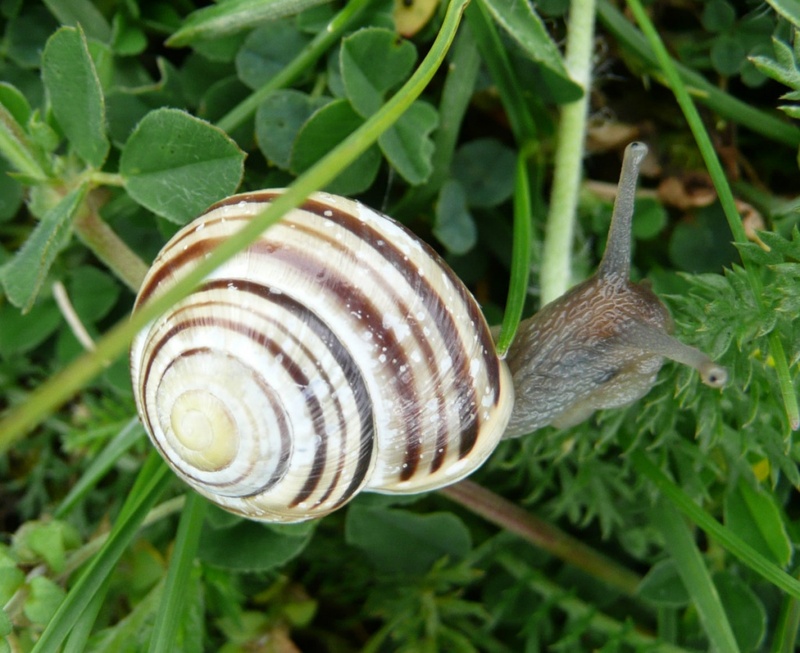 In Scotland, it inhabits sand dunes and cliffs. 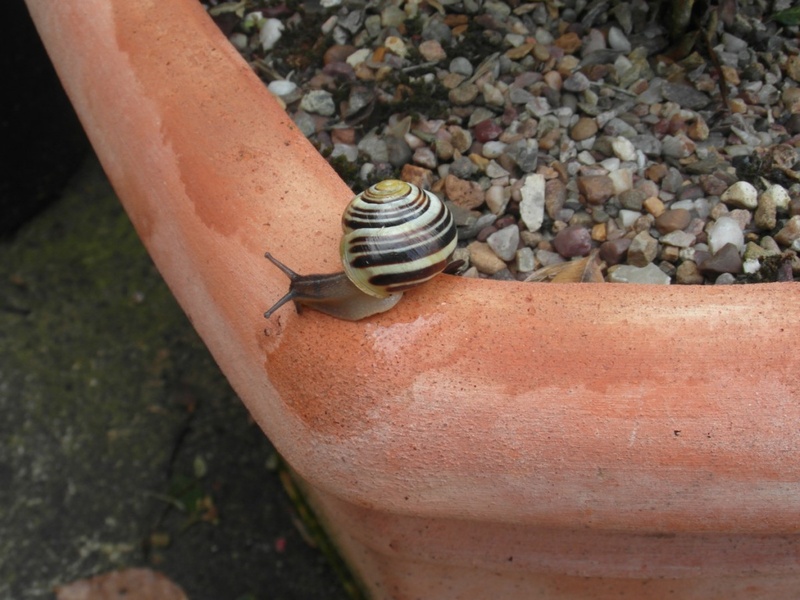 During the day in damp conditions. It can also be found in dry conditions tightly attached to tree trunks or fences. 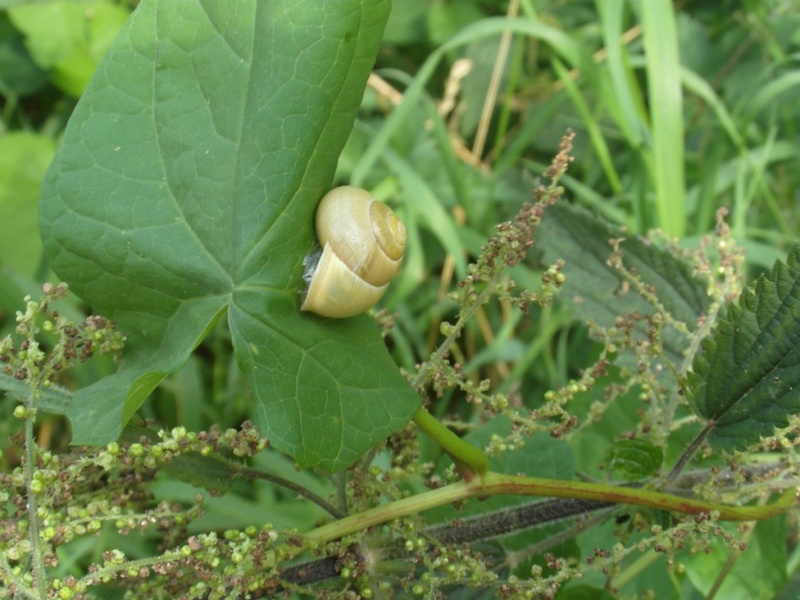 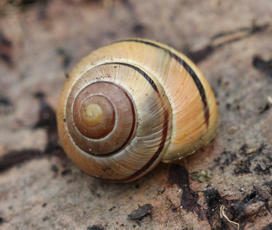 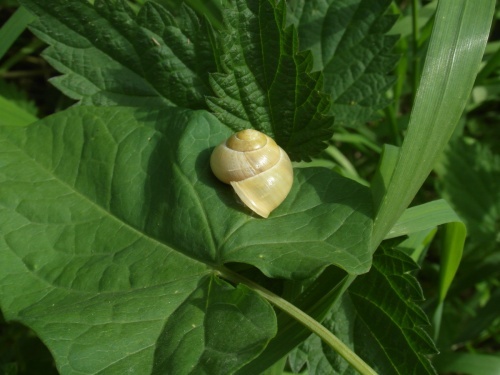 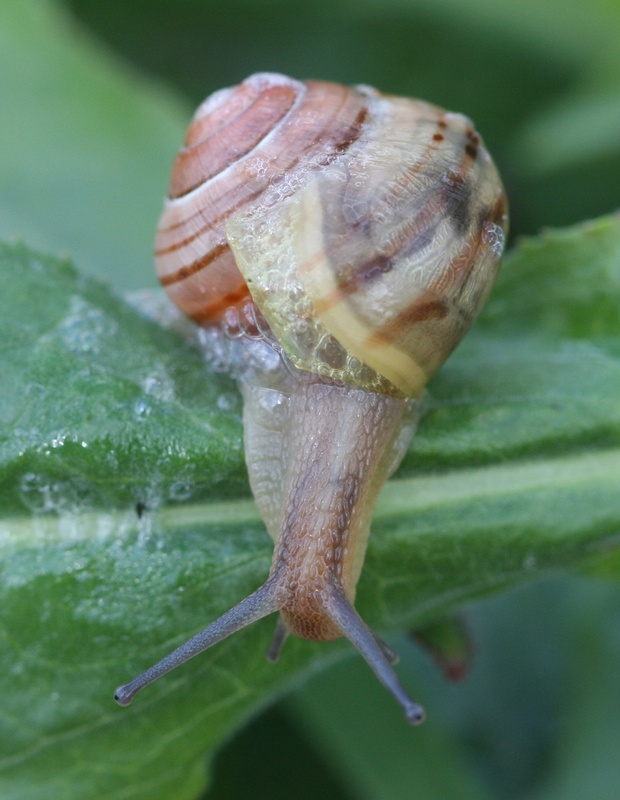 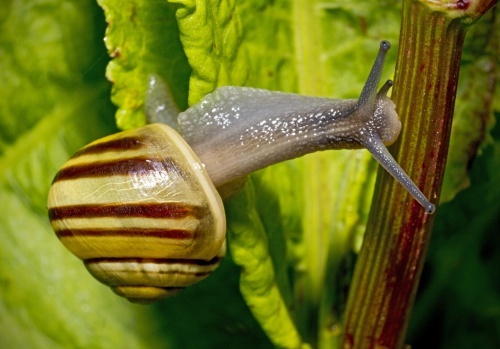 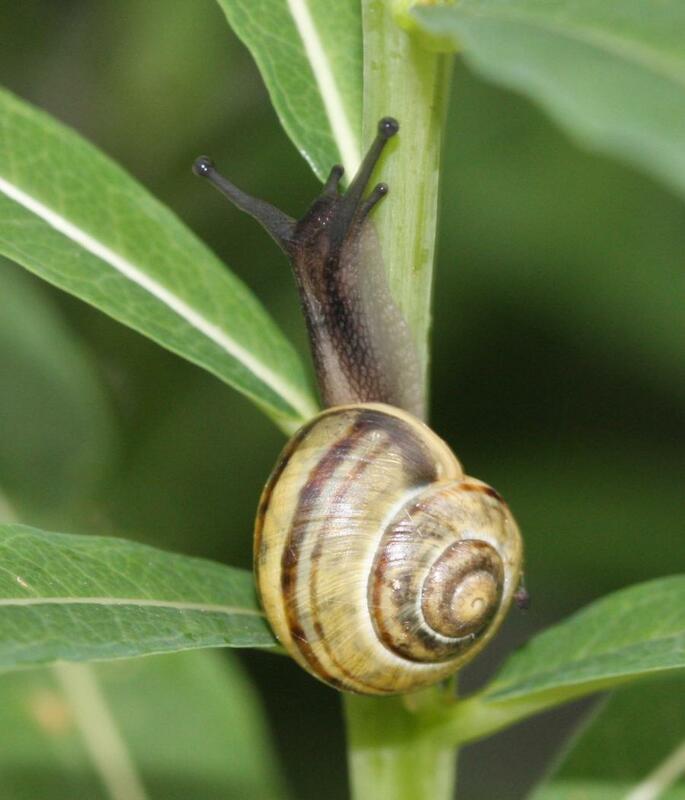 The preferred food plants of this snail include Nettles, Ragwort and Hogweed. Although these snails posses both male and female organs, and are capable of self reproduction, they usually mate with another snail between spring and autumn. Common and widespread in Britain but mainly coastal in Scotland.